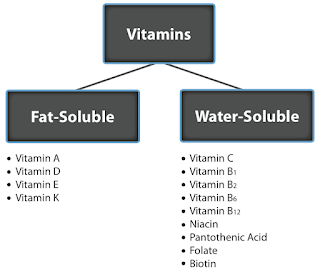 Vitamins are generally classified as water-soluble vitamins and fat-soluble vitamins. Functions: Necessary for normal vision, the synthesis of glycoproteins and the process of growth and development, reproduction, mucus secretion and maintenance of normal epithelium, has a role of antioxidant. Source: liver, sea fish, freshwater fish-(less), carrots, alfalfa, tomatoes, and apricots. Deficiency: It leads to disturbances of vision (night and chicken blindness), skin flakes, sterility, children interference in growth and development. Except for Vitamin C, the other eight B vitamins belonging to the water-soluble group form the B complex family. 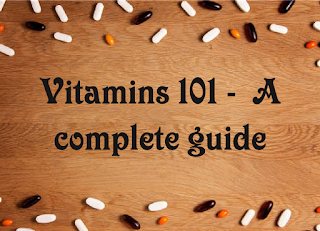 All these vitamins act together and perform various processes in the body to ensure verve and vigor. Functions: It allows the body to convert blood sugar into glucose and break down carbohydrates, proteins, and fats. Source: Whole grains, liver, heart and kidneys, yeast and bacteria of the intestinal flora. Deficiency: mental confusion, anorexia, muscle weakness, swelling, rapid heart rhythms (most common in alcoholics). Functions: Participates in many metabolic processes, primarily in the production of energy in cellular respiration. Source: Foods of animal origin, particularly eggs and dairy products, vegetables. Deficiency: Dry throat and inflammation of the membrane on the throat, dermatitis, anemia. Functions: One of the most important co-enzyme, participates in almost all metabolic processes (the most important is the cellular respiration process). Source: Meat, liver, yeast, and rice. Deficiency: The disease called pellagra, which is mainly characterized by dermatitis, diarrhea, and dementia. Functions: 80 percent of pantothenic acid in the body is in the form of coenzyme A. It participates in the degradation of fats, carbohydrates, and amino acids. Source: Pantothenic acid is one of the most common vitamins, can be found in almost all foods. Deficiency: Due to the wide distribution it is not reported in practice. Functions: Participate in a variety of metabolic processes, in first place in the metabolism of unsaturated fatty acids and biosynthesis of fat from protein. Source: seeds, grains, liver, milk, eggs, and green leafy vegetables. Deficiency: dermatitis, disorders of the blood count, neurological disturbances. 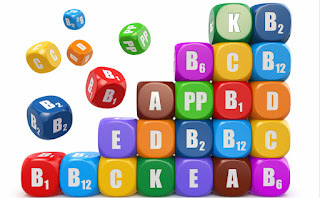 Functions: Folic acid in the form of coenzyme is responsible for the creation of purine and pyrimidine, which are the building blocks of DNA, and as such, this vitamin along with vitamin B12 and C is essential for normal cell division. Source: leafy vegetables, liver, meat and egg yolk. Deficiency: It leads to a special kind of anemia called Megaloblastic anemia. Functions: Necessary for creating Deoxyribonucleic acid (DNA), participates in the metabolism of certain amino acids. Source: liver, meat, milk, eggs and other foods of animal origin. Deficiency: A special type of anemia called Pernicious anemia, neurological disorders. Source: Lemon, orange and other plants from the family of citrus fruits, berries, melons, watermelons, tomatoes, green peppers, cabbage. Deficiency: The disease known as scurvy. It is manifested by swelling, frequent bleeding, nonunion healing, tooth decay, osteoporosis, anemia and so on. Functions: Important for metabolism and maintaining the level of calcium and phosphorus in the body, and as such, indirectly responsible for many processes, most important for normal functioning of skeletal (bones and muscles). Source: Sun exposure, fish oil, milk, butter, liver, egg yolk. Deficiency: Low calcium levels (hypocalcemia) and phosphorus (hypophosphatemia) lead to the development of rickets in children and osteoporosis in adults. Functions: the most important antioxidant in the body, essential for normal lipid metabolism, responsible for preventing from free radicals (free radicals are damaging DNA and leads to malignant disease). Necessary for normal reproductive function. Source: Vegetable oil, seeds (peanuts), fruits and vegetables. Deficiency: Disorder of lipid metabolism and hemolytic anemia, infertility, increased risk of developing malignancies. Functions: Necessary for normal function of the enzymes from the group of carboxylase, essential for lipid metabolism, oxaloacetic acid, urea, and purine. Deficiency: Extremely rare, it is manifested with bloating, vomiting, dermatitis, hair loss, and nervous disorders. Vitamin K or phytonadione is popularly known as known as the vitamin for “blood clotting” is required for the incidence of prothrombin of blood that helps prevent excessive bleeding from a wound or cut. Functions: Vitamin K keeps coronary artery diseases at bay, prevents the formation of kidney stones, regulate calcium levels in the body that is responsible for building strong healthy bones and teeth. They help in the elevation of bone mass thus preventing osteoporosis. Source: Leafy green vegetables, soybeans, dairy products, meats, legumes, and vegetables are some of the sources of Vitamin K.
Deficiency: Vitamin K deficiency is generally identified in people with improper digestive health. 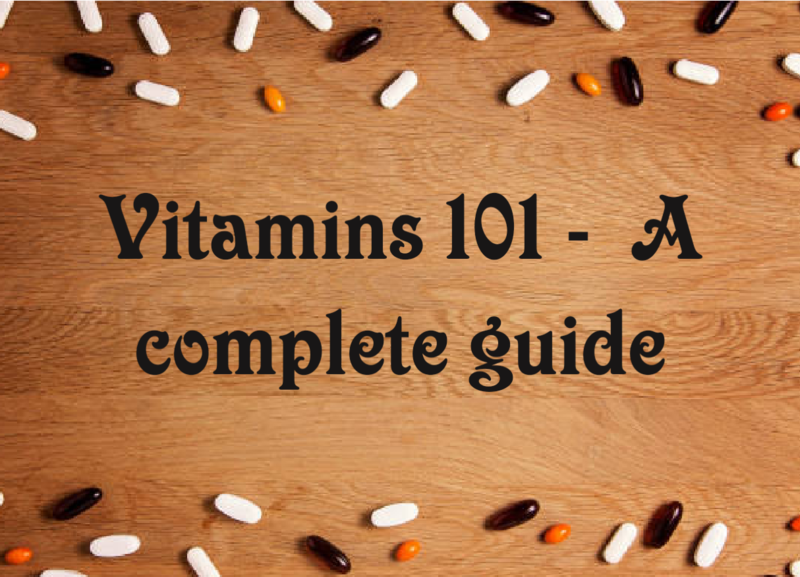 People deficient in vitamin K are easily prone to injury and bruises, which becomes rather critical, due to the body’s inability to clot blood. You may find many vitamin tablets by different brands in the market ..but before you buy consult your doctor and choose the best one. Vitamins are not a miracle or magical potions that do wonders but are taken to help the body metabolism because the food we eat may not have all the vitamins.